Fire safety in a warehouse is a particularly big challenge since, usually, these types of buildings have a high fire load. In addition to the merchandise, installations contain elements that spur on the spread of flames, like plastic materials, cardboard or wood, among others. To minimise this risk, warehouses must have fire prevention, detection and suppression systems. 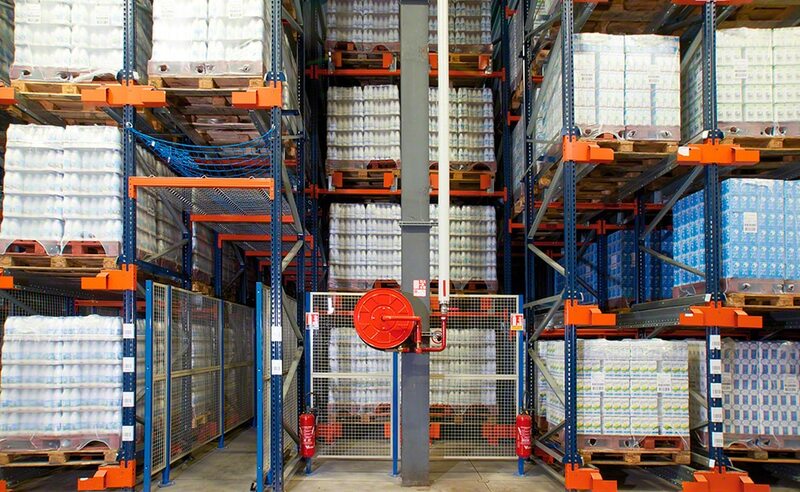 The warehouse is the key element in the supply chain of a business. For this reason, it is imperative to be vigilant and keep it in top shape, to eliminate risks to personnel, to minimise damage to goods and to avoid hold ups in customer service. Interruptions in services or the total or partial destruction of a warehouse can lead to enormous losses, both in materials and moneywise, in addition to the damage to a company’s corporate image. To minimise these repercussions, normally these large-sized warehouses are sectored. The different zones are separated by walls or fire doors that impede flames from spreading. Preventing, controlling or stopping a fire in a building with such an elevated fire load, like a warehouse has, is a technical problem that requires a detailed expert based study. A constructed element has a capacity to withstand exposure to a fire during a period of time, namely its load-bearing capacity, without it losing its structural stability. - Coating of the structure. - Location of the installation (if there is humidity, air currents, etc.). The load-bearing capacity of a metal structure during a fire can be augmented by means of passive protective systems (materials and techniques designed to prevent, stop or delay the spread of fire) a/o through active protection (equipment and systems installed to detect fires and avoid their propagation). - Standards related to this subject area. - Size of the warehouse. - Fire load of the goods. - Location of the warehouse in respect to other buildings. - How interested the company is in protecting the stored goods. 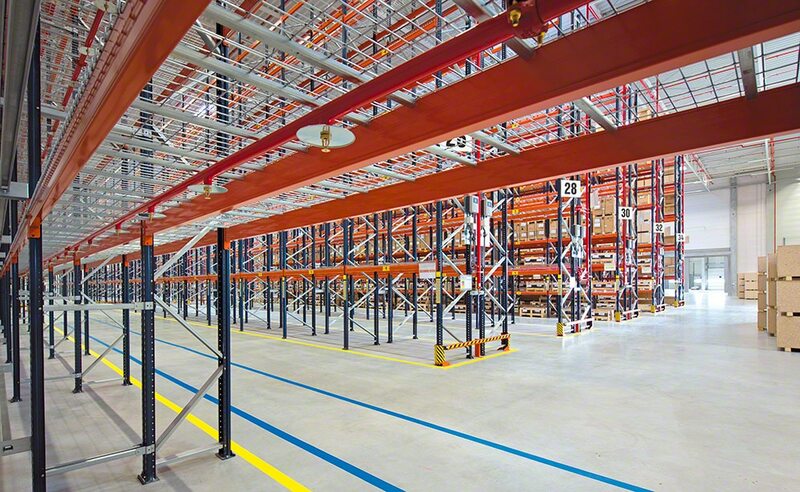 There are no load-bearing capacity requirements for racks in a warehouse in regards to dealing with fires. When steel is employed in the construction of rack components, the European EN 13501 standard classifies this material as A1 (non-combustible). Conversely, the most commonly used paints –like the ones utilised by Mecalux– are categorised as Bs3d0 in accordance with the EN 13501, i.e., they are combustible but not flammable. These paints are less than 100 µ thick and, during a fire, they calcinate instead of causing a blaze. Thus, the fire does not spread. However, they do not provide the coated element with a fire bearing capacity; intumescent paints should be used for that purpose. - To assure the load-bearing capacity of the rack profiles during a blaze, a very thick coating must be applied, more than 1,000 µ. - The rack must be painted after it has been set up. Assuming this, the on-site paint application could be very complicated due to the distinctive features of the profiles (partially open and perforated). - The paint could end up peeling off due to rubbing (for example, between the unit load and the elements it is holding). - The cost would be very high. Moreover, the EN-15629 “Steel static storage systems. Specification of storage equipment” standard lays out in Section 10 that in regards to racks, generally passive protection is not practical. Despite this, standards may be more restrictive in other countries. For example, in France clad-rack warehouses must be set up to collapse inward in case of a fire, so adjacent buildings are not harmed. Active protective measures in a warehouse include fire detection devices (flames, smoke or heat) and the automatic or semi-automatic equipment to put out fires. In the writing of this article, Mecalux collaborated with Carlos Garrido, Business Development Manager at Cottés, one of the most innovative businesses in the fire safety sector. He explained what the most efficient active protection systems are on the market. - European Standards (EN). Likewise, there are also local regulations in each country that must be complied with. - The North American standards from the NFPA (National Fire Protection Association) are accepted throughout most of the world. - Technical regulations from FM Global (an insurance company). - Technical regulations from the VdS (a German institution specialised in the field of firefighting for the industrial sector). - Manual systems: portable fire extinguishers, fire hoses and hydrants. - Automatic fire alarm and detection systems: smoke, heat and fire detectors; manual buttons and alarm system (for fires or evacuation). - Automatic firefighting and control systems: automatic sprinklers. - Temperature control and smoke extraction systems. The majority of the regulatory codes often require that all these systems be present in a warehouse. However, it is possible to go without some of them (whenever authorised by that country’s regulations), depending on the passive firefighting measures that have been applied. These are first response items to deal with a fire and are recommended by fire regulations for small, low-risk warehouses. In large-sized warehouses or those with a larger fire load, these items are used in addition to the automatic fire equipment. These systems are usually recommended to contain small outbreaks of fire or, if a fire is already spreading, to aid the other intervening equipment. Locating a fire right when it starts is crucial to minimise fire damage. There are devices that can detect a fire via certain indicators: the presence of smoke, flames or rising temperatures. Thermal detectors are useful in buildings that are up to 6 m high. UV detectors are only used when there is a susceptibility of visible flames in the initial phases of a fire, as well as during the combustion of flammable liquids. Smoke detectors, either optical or aspirating, are the most used in warehouses. In buildings that are up to 12 m high, they are installed in the ceiling (where combustible gases accumulate) and are distributed as required by fire regulations. When a fire starts, the optical smoke detectors recognise changes in the air’s opacity due to the presence of smoke. Then, the sensor sounds an alarm in the central control panel, which is under constant surveillance. In turn, aspiration smoke detectors contain only one centralised sensor (usually a highly sensitive one) and a network of pipes with calibrated orifices spread throughout the warehouse (an orifice is equivalent to one sensor). The system gathers air samples from the room through these orifices and analyses them. If there is a fire, the sensor equipment will detect it and sound an alarm. Automatic sprinkler systems are the most commonly used in storage buildings. 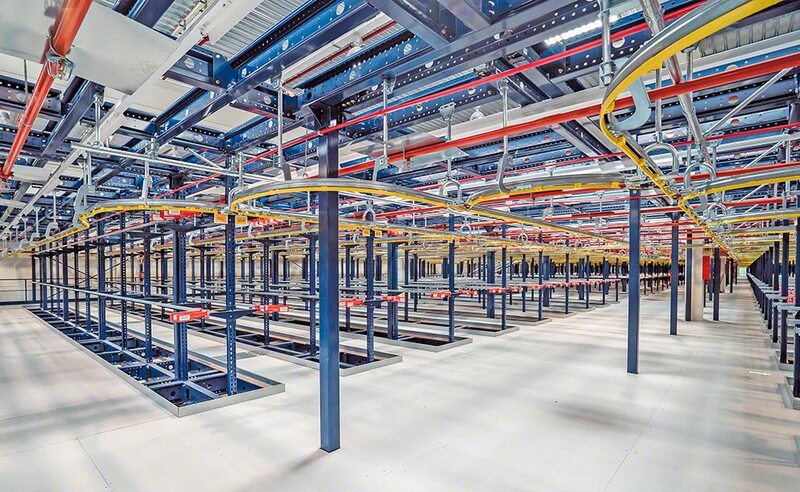 They consist of a network of pressurised water pipes that are equipped with discharge nozzles (sprinklers) appropriately distributed throughout the warehouse, for example, inside the racks. Sprinkler nozzles are covered by a heat-sensitive material that keeps them closed when they are not in use. Just the sprinklers within the affected zone will be activated during a fire and only when a particular temperature has been exceeded (usually between 68 and 74 ºC), permitting the water to spray freely. When it turns on, the water sprays against a deflector plate, creating fine water droplets in a spray pattern that soaks the specified zone uniformly. In this way, there is limited damage due to water pressure. - Storage method: outdoors, in pallet racks, in racks with solid shelves, etc. - Height of the storage systems and the building. Sprinklers can be installed in the ceiling of buildings that are up to 13.5 m high, but are not recommended when they exceed this height. The reason is that the energy from the hot gases evaporates the water droplets before they reach the fire. To fix this situation, sprinklers can be placed in intermediate levels of the racks. 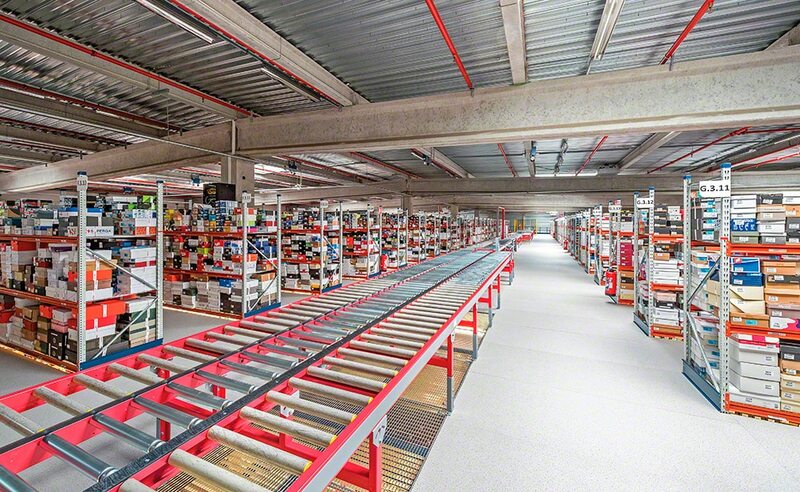 In regards to automated warehouses, sprinklers are installed in the ceiling and in-rack sprinklers in the blocks. 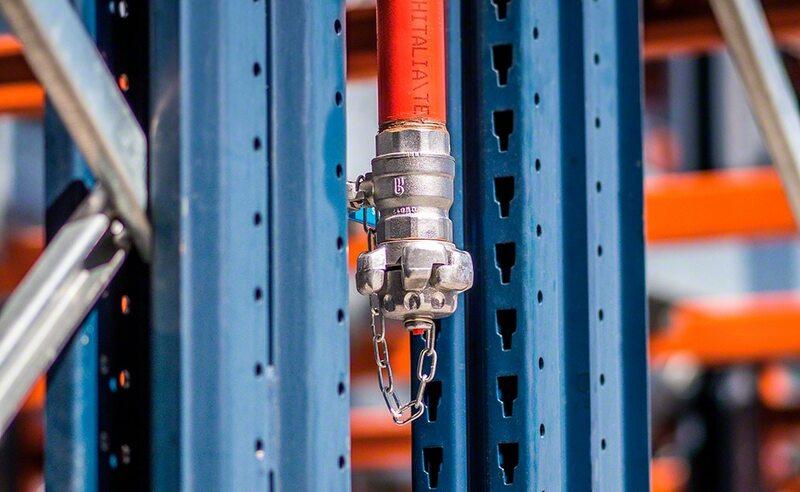 It may be necessary to place sprinklers in each of the levels, more specifically, in the spaces between the loads that act as funnels so hot gases can rise. In its initial phase, a fire propagates vertically. In the words of Carlos Garrido, “if you can control the fire in this phase, it will not spread to other zones of the warehouse and will only affect a few unit loads”. The control and smoke extraction systems are as vital as the automatic firefighting elements. The smoke and toxic gases from a fire rise to the ceiling of the building, where they accumulate and thicken, filling the area, until they reach where people are (which complicates evacuation measures). The elevated temperatures of the hot fumes, gathering in the upper parts of the building, significantly undermine the strength of the structure’s cladding and the building itself, to where it could collapse. Smoke extraction can be carried out easily, by opening aerators in the cladding that help expel fumes, as well as hot, toxic gases from the fire. Moreover, smoke extraction combined with the intervention of automatic sprinklers will help keep the temperature of these gases below levels that would otherwise damage the structure. Some warehouses contain unique features, either for the stored goods, or due to environmental or constructive conditions, which entail the inclusion of customised firefighting and safety systems. For instance, in warehouses with combustible or flammable liquid products it is usual to incorporate foam fire safety systems. Typically, water-foam deluge valves or foam-forming liquid injectors are installed in the sprinkler system. - Install a ‘dry’ automatic sprinkler system, with pressurised air. Prime it with water and only vent it if a fire occurs. - Install a pre-actionable automatic sprinkler system. It activates when the thermal cover breaks and, also, when an automatic detector (for example, one for smoke) confirms that there is actually a fire. It is very effective in warehouses where accidental water discharge could be detrimental. - Install air reduction systems (especially in frozen storage chambers where no people are working). This system injects nitrogen into the warehouse in a controlled manner, diminishing the oxygen concentration, which prevents a blaze from spreading. Protecting personnel and guaranteeing safe operations in the warehouse must be the top priority of everyone at a company. Fires happen, and are not a phenomenon that can be completely avoided, as there is always a risk a fire can occur. For this reason, design and prevention are crucial in reducing the consequences brought about by fires, smoke, heat or even the water utilised to put a fire out. 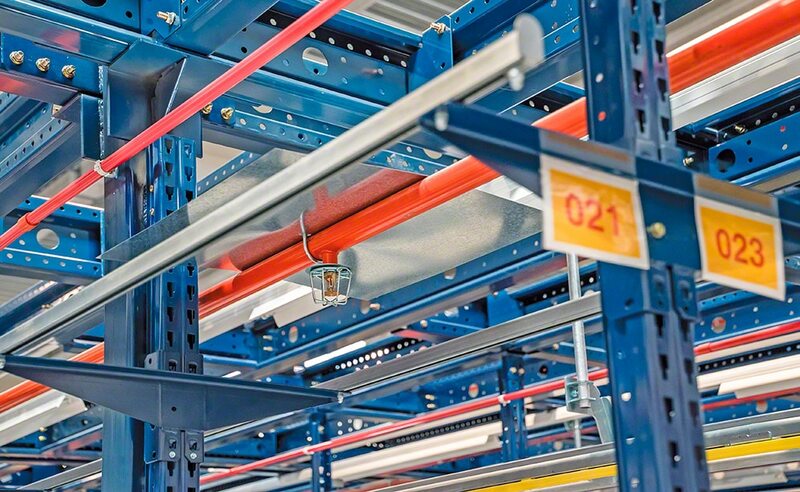 Passive and active protective measures are essential to fit out installations with a proper level of safety for both personnel and the goods being stored, minimise losses and keep a business up and running. Its strong commitment to innovation puts this Spanish company above and beyond others in the fire safety sector. The team at Cottés provides assistance in the design, supply, installation, commissioning and maintenance of firefighting systems. This article has been a collaborative effort between the Structural Engineering Department and Mr. Carlos Garrido, Business Development Manager at Cottés.